At Bezner, we engineer, build and supply a customized air separator as a component of your recycling installation. Other names you may come across for an air separator are wind sifter (otherwise spelled as windsifter), wind shifter or air classifier. Using an airflow, the materials from one stream are separated into various streams depending on the size, shape, and weight of the particles. 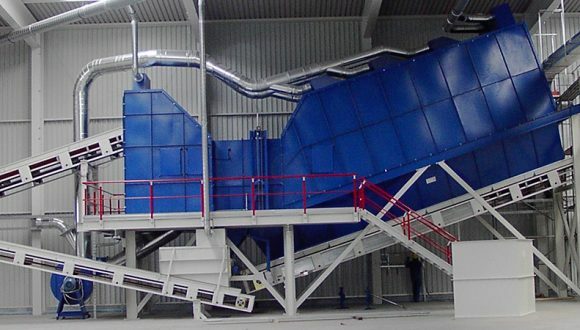 In short, an air separator is ideally situated at the beginning of the waste material stream to pre-separate the lighter materials, for example, paper, foil, plastic dust, and plastic film, from the heavier materials. Please feel free to contact us for more information about air separators or any other product we offer.